Links with shelf numbers refer to WATSONLINE, the online library catalog of the Museum. Photocopies of each source reference are available in the Goldwater Library. Certain electronic resources are accessible within the museum or with an approved remote connection. For those with only a limited amount of time, we suggest those titles in boldface below. Detailed explanation of the source, meaning, and use of the bansonyi in Baga ceremonies, as well as illustrations of bansonyi from the Museum Rietberg in Zurich and from the collection of Herbert and Paula Molner in Chicago. Brief explanation of the bansonyi's purpose, as well as an illustration of one from a private collection. 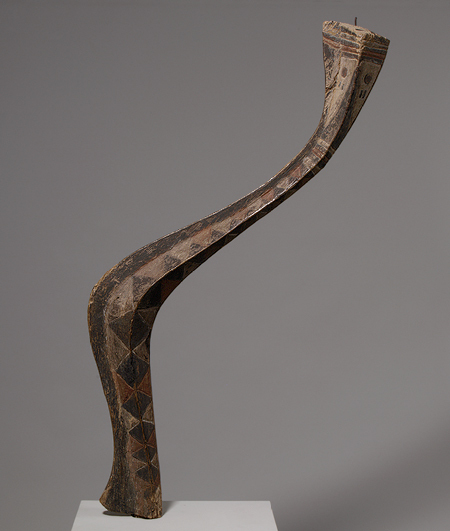 Illustration of a bansonyi from the Museum of Primitive Art in New York. Brief statement of the purpose of bansonyi, as well as illustrations of three bansonyi. Explanation of the purpose of sculpture in African society, with specific mention of nimbas, bansonyi, and eleks. Extremely detailed descriptions of bansonyi, in general, and a statement of their purpose and use. Detailed explanation of every aspect of bansonyi. The history of bansonyi and their function in Baga society. Brief synopsis of the traditional story accompanying the bansonyi. Detailed and specific explanation of every aspect of eleks. A general overview of the elek: its appearance, history, and function. Description of the functions of the elek in Baga society. Brief summary of the purpose of the elek. Detailed description of the two eleks housed in the British Museum and the Musée de l'Homme. Preliminary research on the purposes of the eleks (elaborating on the article above). Very brief statement of function. Illustration of the elek in the Commercial Museum in Philadelphia. Illustration of an elek (collection unknown). 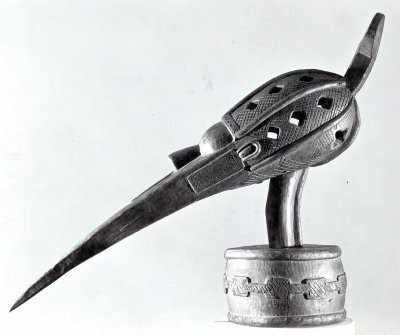 Explanation of the purpose of sculpture in African society, with specific mention of nimbas, bansonyi, and eleks. Extremely detailed descriptions of eleks, in general, and a statement of their purpose and use.